In this particular blog we will discuss about servlet annotations and how to use servlet annotations to eliminate web.xml configuration. Our objective for today's discussion is to create a simple hello world application with jsp and servlet using Servlet API 3.0 annotations. 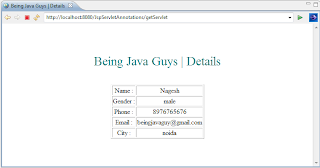 Servlet API 3.0 included a new package called 'javax.servlet.annotation' which provides annotations to be used to annotate a servlet class and this can eliminate the use of web.xml configuration. Servlet provides a number of useful annotations to be used, servlet containers processes these annotation classes at runtime. Some of useful annotations and their usage is listed below. 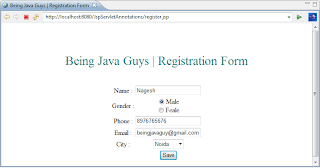 @WebServlet is used to declare a java class as servlet, a class still requires to extend HttpServlet. 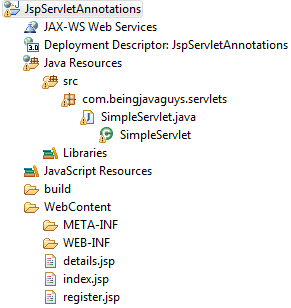 Some examples of using @WebServlet annotation are listed below. 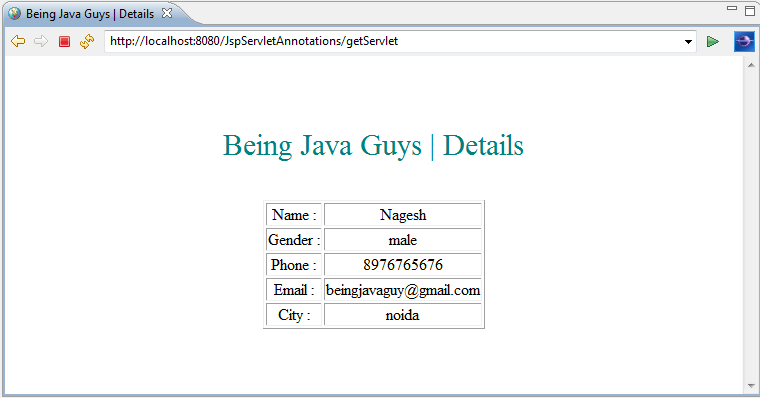 Now let is create a simple helloworld application with jsp-servlet using annotations. Here is overall project structure for today's discussion, create a simple 'Dynamic Web Project' from Eclipse IDE and add all required servlet and jsp files to it as mentioned in rest part of this tutorial. Now run the project on server, if everything goes right you will get following screens. In this particular blog we came across ?How to create a Hibernate Project in Maven?, 'Insert table in hibernate', 'Retrieve data from db in hibernate', 'Update a row in hibernate' and 'Delete data in hibernate'. 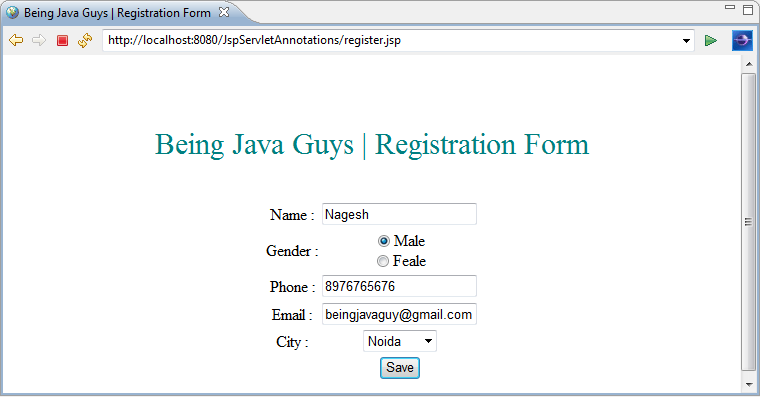 In upcoming blogs we will see more about 'jsp-servlet', Java and other opensource technologies.